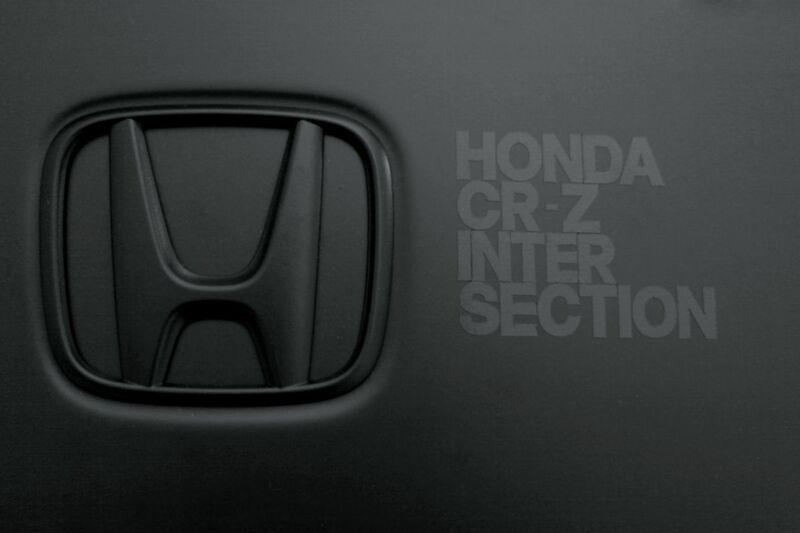 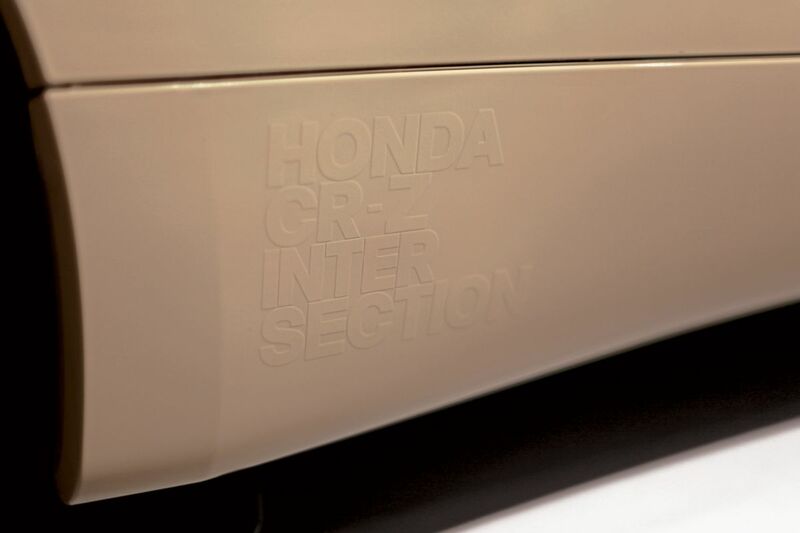 For our first limited edition car, we teamed up with Honda to create a unique CR-Z. 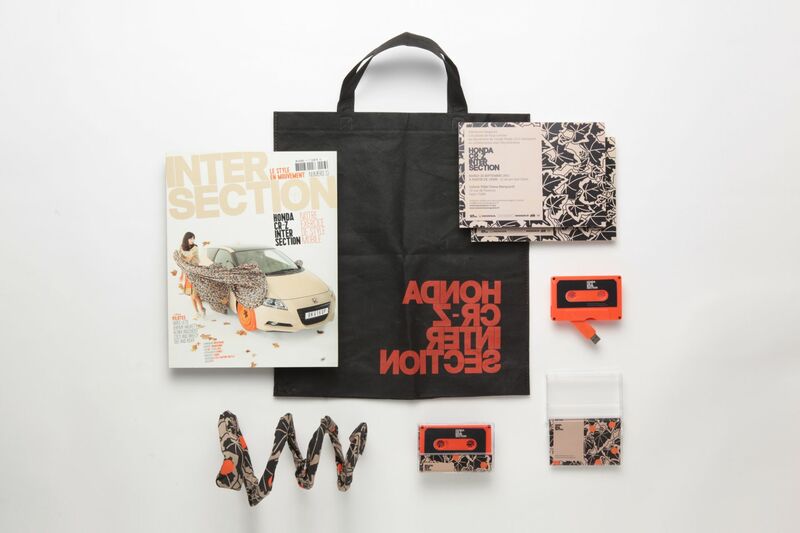 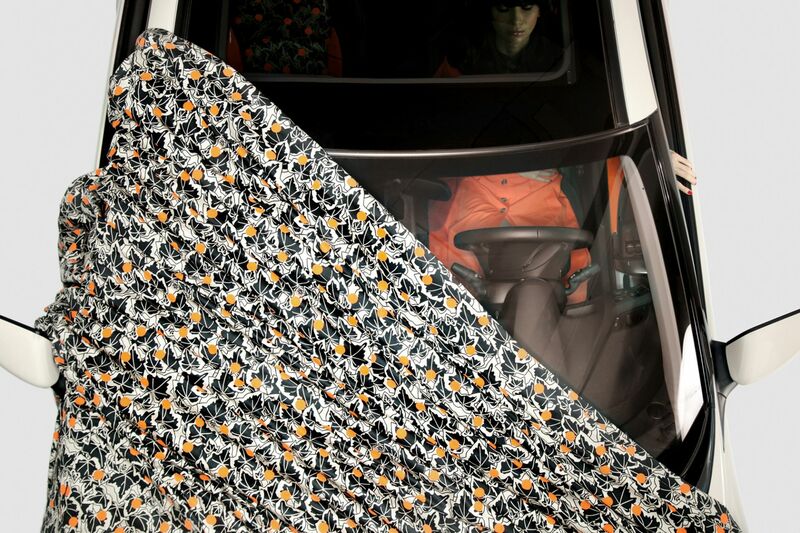 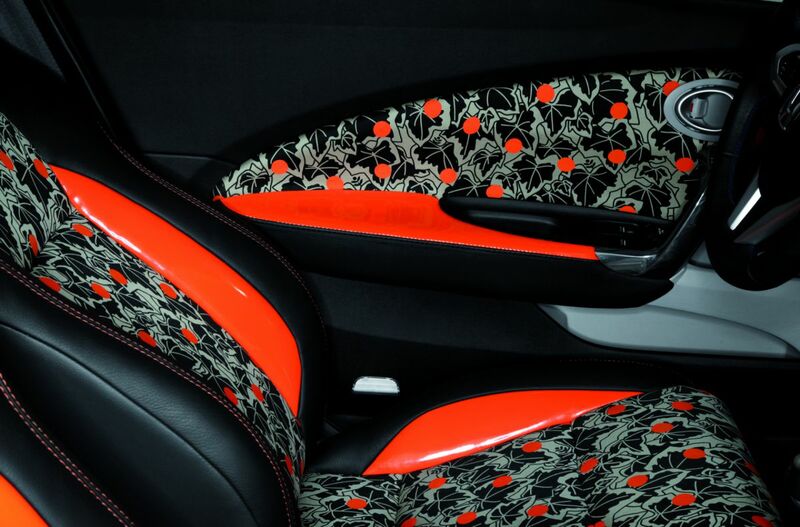 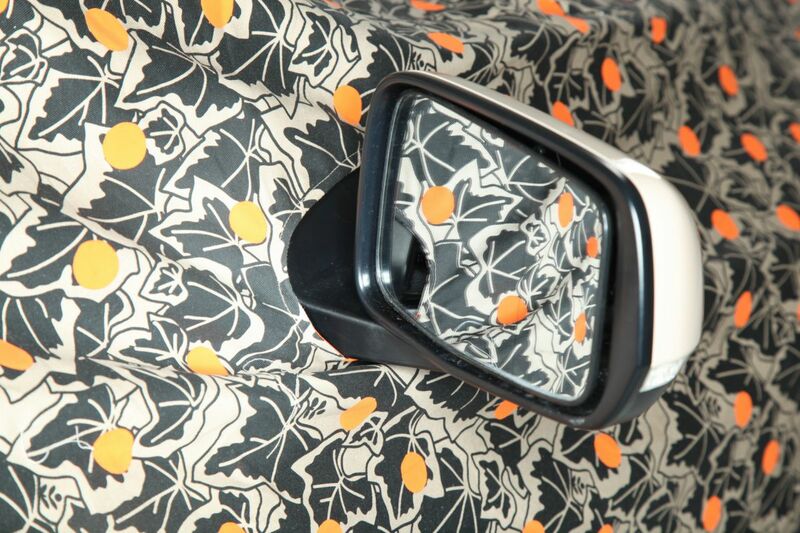 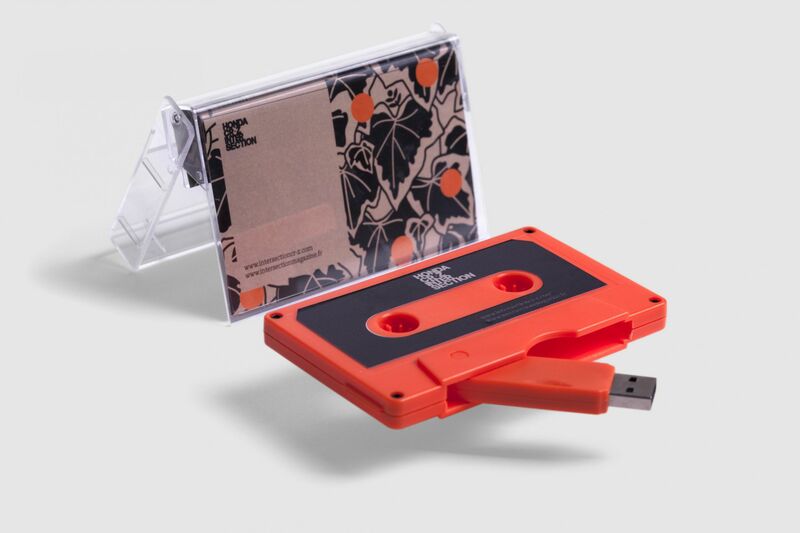 The exclusive beige was created with Bosh paints, and we teamed up with Eley Kishimoto to create a pattern for the car cover, the interior, the hostess’ outfits, the USB cassette and the invitations. 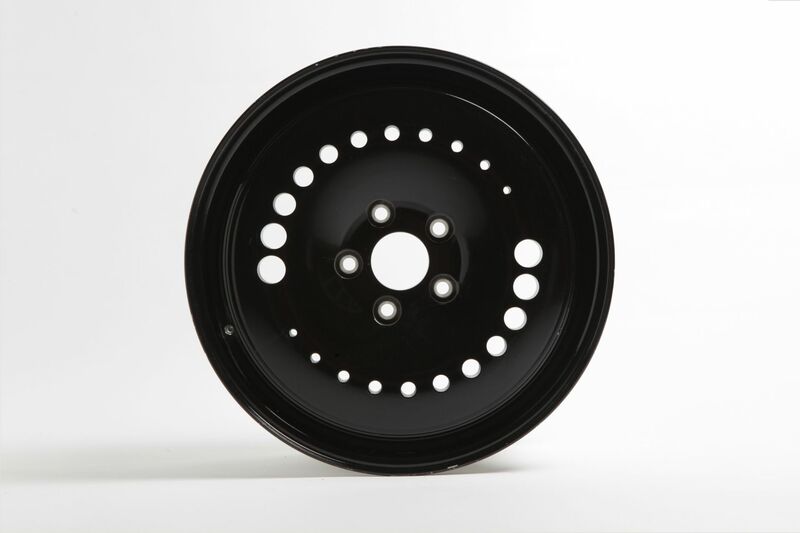 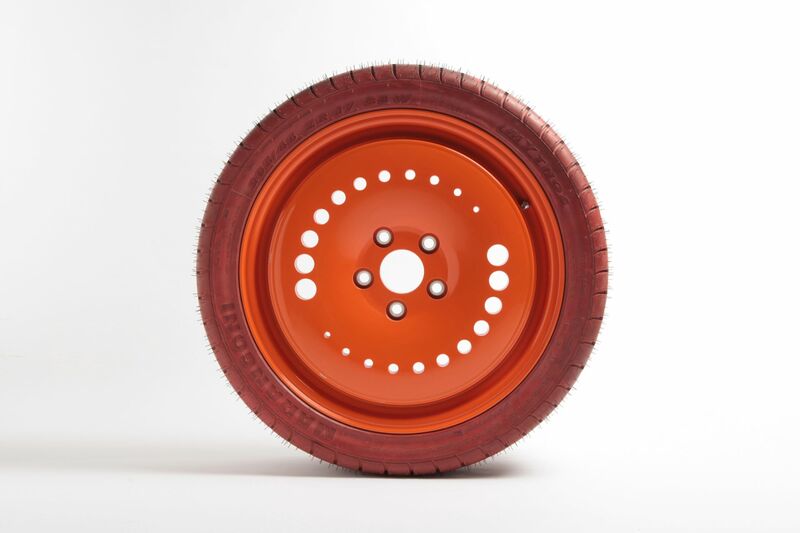 We also designed and produced two set of wheels, which, when spinning, reveal an optical trick.